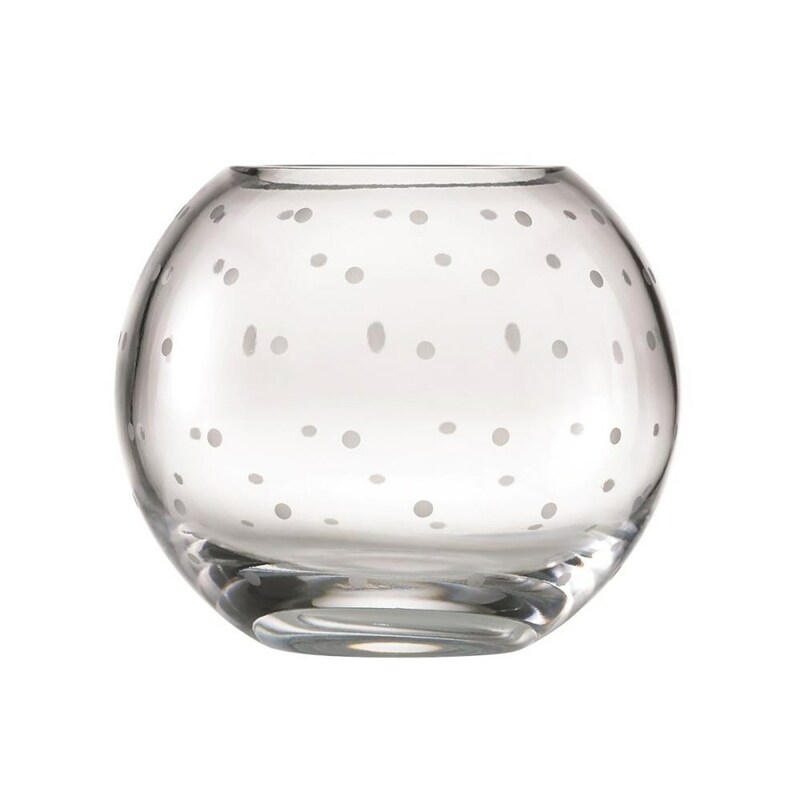 Delightful larabee dot design makes a case for the polka dot as the ultimate chic motif with their etched crystal accents and sleek shape. 7'' diameter. Handwash only. Crystal.